← Join us for our Half-Off Sale!! We’re loving telling you more about some of the brands we carry and we hope you’re enjoying learning more about some of your favorite brands as well! Today we’d like to tell you a little more about Ekornes. So sit back and relax and have a closer look at what Ekornes is all about. Ekornes ASA is the largest furniture manufacturer in the Nordic region and owns such brand names as Ekornes, Stressless and Svane. Stressless is one of the world’s most famous furniture brands, and Ekornes and Svane are the best known brands in the Norwegian furniture market. Products are manufactured in Norway and marketed all over the world by a network of national and regional sales companies. Ekornes’ vision is to be one of the world’s most attractive ergonomically designed suppliers of furniture for the home. Ekornes’ business concept is to offer products that, in terms of both price and design appeal to a broad audience. In addition, the group aims to develop and manufacture products offering excellent comfort and functionality. As well as all of that, Ekornes aims to fulfill its environmental responsibilities associated with the manufacture, distribution, use and destruction of the company’s products. For years, the company has been implementing improvements in its factories that benefit the internal and external environment, and has at the same time been choosing more environmentally friendly raw materials. They also participate in the UN’s Global Compact initiative. This is a voluntary scheme in which members commit to implementing ten principles in the areas of employees’ rights, human rights, combating corruption, and sustainable production that protects the environment. Ekornes ASA is the parent company of the Ekornes Group. The group’s production facilities are organized according to its product areas: Stressless (recliners, sofas, loveseats and accessories), Ekornes Collection (sofas) and Svane (mattresses). 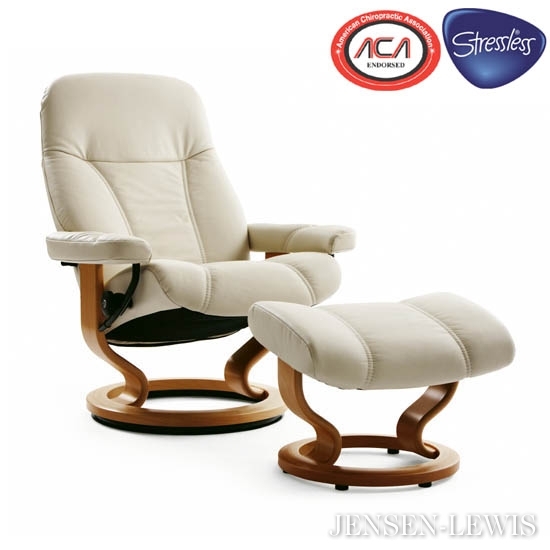 Posted on October 7, 2013, in Brands We Carry and tagged ekornes, furniture brands, stressless, suburban furniture. Bookmark the permalink. Leave a comment.